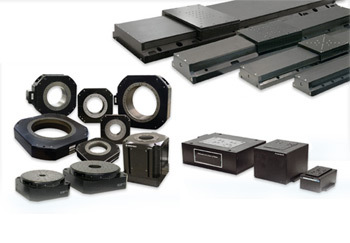 Air bearing stages are high precision motion systems that rely upon air bearings for linear positioning. They specifically replace the rollers and sliding components of mechanical systems with a thin cushion of air for bearings to move while floating. The flat, magnetically pre-loaded air bearing positioners then guide the payload, while a brushless linear motor generally drives the system and an ironless core coil assembly acts as the drive mechanism. In contrast to mechanical systems, air bearing stages deliver vibration-free motion with high velocity control, angular repeatability, and optimal geometric performance. In so doing, these high-precision stages avoid common mechanical issues with friction, vibration, and wear, even as air bearings defy the acceleration limits set by their mechanical counterparts. They come in several configurations for industrial applications, including linear, rotary, and spherical options, among others.